With Readly you can read Long Live Vinyl: The Vinyl Buyer’s Bible and thousands of other magazines on your tablet and smartphone. Get access to all with just one subscription. New releases and back issues – all included. 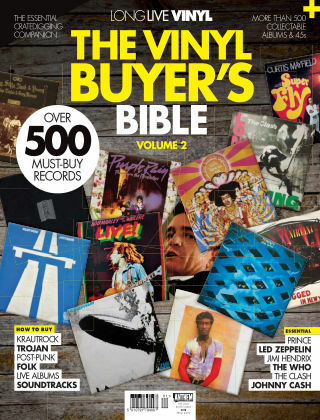 Volume 2 of The Vinyl Buyer’s Bible is the definitive cratedigger’s companion. Brought to you by the team behind Long Live Vinyl, it's crammed with buying advice and the latest pricing details on more than 500 essential records by the likes of Led Zeppelin, Jimi Hendrix, Prince, The Clash, The Who and Johnny Cash. Plus, our How To Buy guides round up the records every collector should own in genres as diverse as Freakbeat, Laurel Canyon folk, krautrock and post-punk – as well as in-depth sections on Trojan Records, live albums and soundtracks. And if that’s not enough, we count down world’s most collectible and valuable 45s. 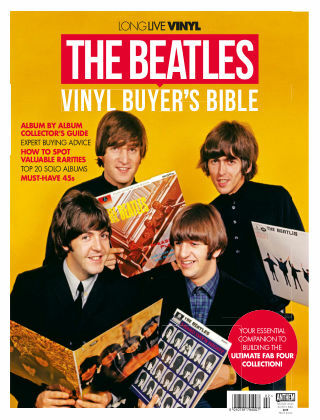 Pick up your copy of the Vinyl Buyer’s Bible Volume 2 today – your record collection will thank you for it!